When Tim (Domhnall Gleeson) turns 21, his father (Bill Nighy) tells him the family secret – all men in their family can travel back in time. Tim learns that changing events in his life isn’t as easy as you might think, especially when he uses it to find love. About Time is a charming and funny romantic drama. It blends together the science-fiction of time travel with all the best stuff about love and family. While it is funny, About Time is also incredibly sincere – it’s definitely the kind of film you should embrace wholeheartedly and leave any cynicism you may have behind. When Tim meets Mary (Rachel McAdams) things go awry when he uses his time travel skills. Slowly he begins to realise that changes to his past have consequences and it can be tough keeping track of it all. The way the relationship between Tim and Mary develops is really sweet. There is the potential for it to be a bit creepy, what with Tim learning more about Mary each time he might time travel but to her it’s a first encounter, but the chemistry between Gleeson and McAdams and a heartfelt script makes it Tim’s awkwardness more endearing than sinister. While the main focus of Tim’s story is about his romance with Mary, About Time is also about family. Tim adores his sister Kit Kat (Lydia Wilson), their relationship is just the best and he always tries to help her, with and without time travel, though it doesn’t always work out. And then there’s Tim and his dad – these two have one of the most touching, and realistic, father-son relationship I’ve seen in a while. There are some issues with About Time. It’s perhaps a little long with the middle dragging slightly and some may find it too sentimental, but all in all it’s a beautiful film. 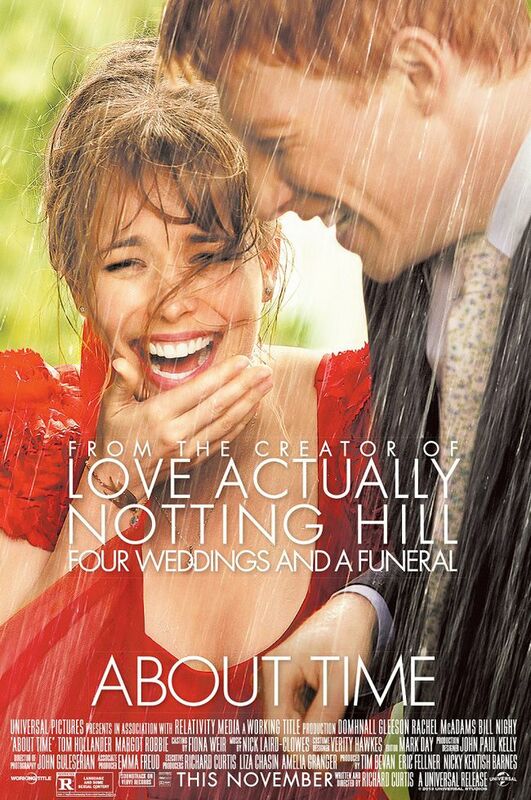 About Time is funny and romantic and shows off all the highs and lows of what life truly is. Yes, Tim may have time travel to help him out now and again, but it’s much better to take the time to experience life in that moment. 4/5. The true story of how journalists at the Boston Globe exposed the massive scandal of child molestation and cover-up within the local Catholic Archdiocese. When the Boston Globe’s new editor Marty Baron (Live Schreiber) takes over, he tasks the papers investigative team Spotlight to look into claims that the Catholic Church knew about child abuse by priests and had covered it up for decades. This starts a somewhat hesitant investigation to begin with – Boston has a large Catholic populace and the Church is a powerful entity – but as they begin meeting victims of abuse and a lawyer (Stanley Tucci) who will keep fighting for the victims, they realise that they have discovered something huge. Spotlight is truly an ensemble film. There is no real lead as these journalists are a team, fighting for the same cause. You believe that these people have been working with each other for years and understand how each other tick. Walter ‘Robby’ Robinson (Michael Keaton) is the head of the team who knows some of the top dogs that might have been involved with the cover-up while Sacha Pfeiffer (Rachel McAdams) looks out for the victims and wants them to know how important their stories are. Mike Rezendes (Mark Ruffalo) gets increasingly more passionate about justice as the case progresses and Matt Carroll (Brian d’Arcy James) is the guy who looks for minute details to make sure the story is water-tight. They all give great performances as people who are often shocked and dismayed by what they uncover. 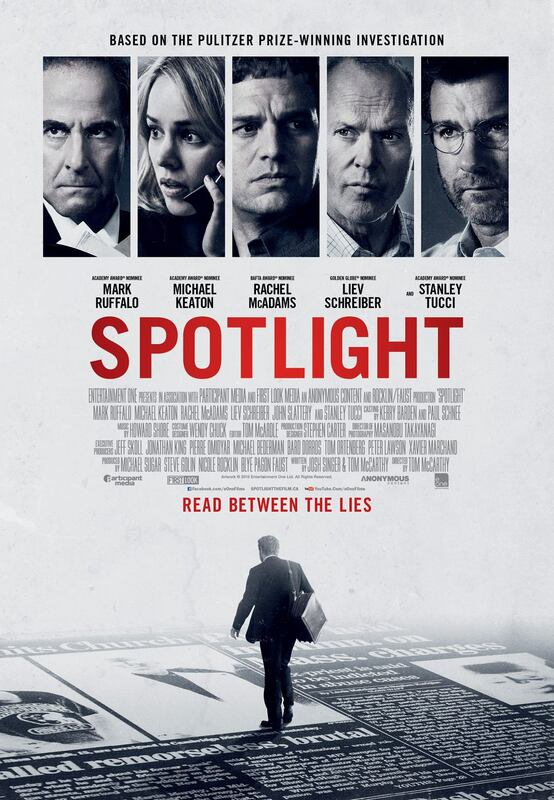 The way Spotlight is shot and the lack of showy performances makes it sometimes feel like a documentary, that you are watching these real people struggle with their findings and their desire to expose the truth. 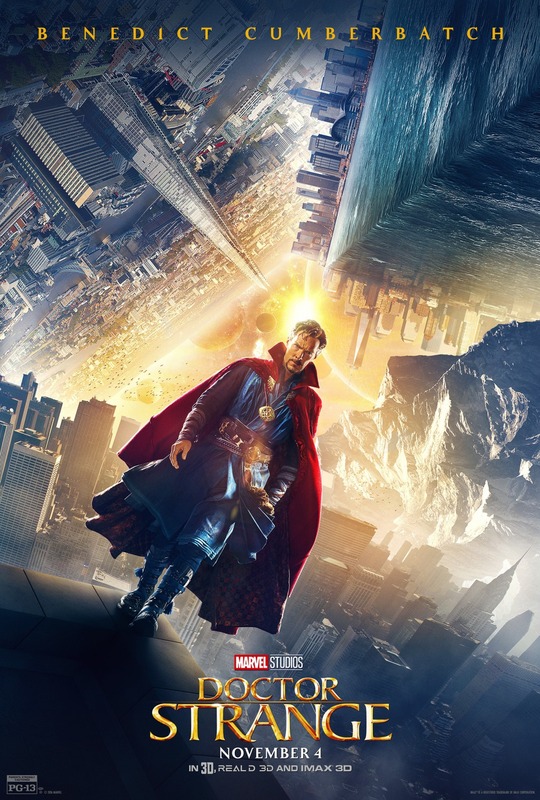 The script should be commended as well, there’s no quips and there’s only one real loud argument but that doesn’t stop the film from being captivating. Spotlight does a great job of not sensationalising this chilling story. It shows that the legwork of investigative journalism often takes months of research and interviews but that doesn’t make it any less tense and thrilling. It also doesn’t talk down to the audience, it expects you to keep track of all these people they’re investigating and talking to and to make the connections yourself. Spotlight is a gripping and important true story that everyone should see. 5/5.